If you’re as big of a fan of cut-outs as I am, you will loooove this bodysuit. The second I saw it, I had to have it. Plus it’s gingham which is all the rage right now. I paired it with a hair scarf and girlfriend jeans. Also I couldn’t resist this cute Veeshee round tote! 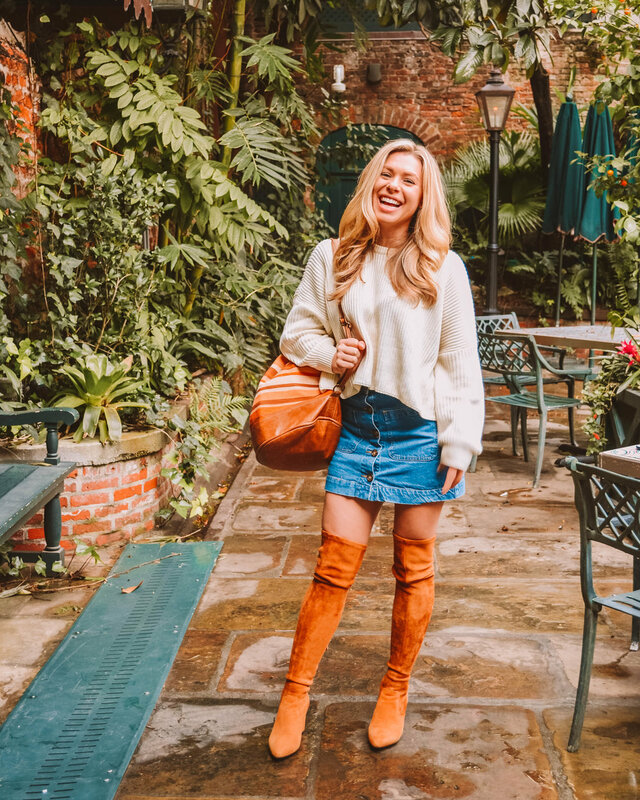 One of my favorite ways to transition spring into my wardrobe is investing in a few skirts and oversized sweaters! Skirts can mean anything from maxi, to midi to mini! I’m currently obsessing over denim minis and floral midi skirts. This look will still keep you warm, but you can start to show off a little skin! Soak in that little bit of Vitamin D! ;) I paired the look with my favorite OTK books and a super cute backpack from Veeshee! Shop the look below!